This weekend I am so excited to be returning to Disney World with husband and two sets of twins… a place we’ve visited many times over the years… a place that holds a special place in my heart. In honor of my trip back, I thought it would be fun to share my Disney history with you all! 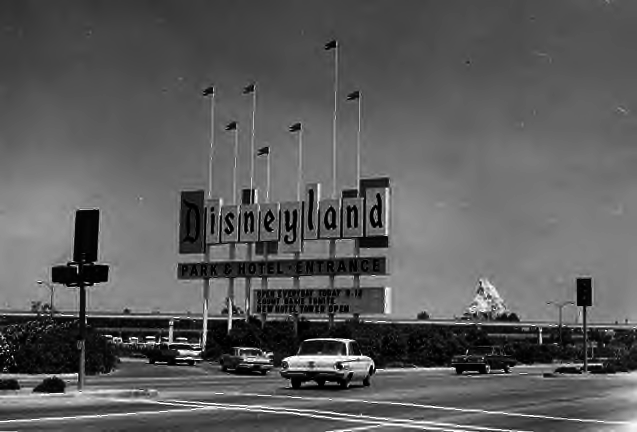 On July, 17 1955 Disneyland opened in Anaheim, California and quickly became a destination that people from around the world would come to visit. I lived in Northern California in Sacramento and visiting Disneyland was immediately put on our family’s wish list. In 1956 before a year passed from it’s opening day my mom and dad took my brother Jeff and me for our first Disneyland visit and we returned many times throughout the following years. I remember as a child I would always say to my parents that Disneyland would be the best place in the world to work someday. 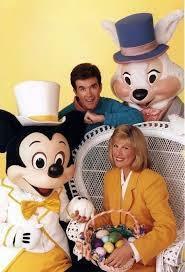 Little did I realize I would spend nearly two decades hosting parades for Disney. After construction began in 1969, on October 1st 1971 Disney’s second location, Disney World, opened in Orlando, Florida. Then on October 1, 1982 the Epcot Center opened. 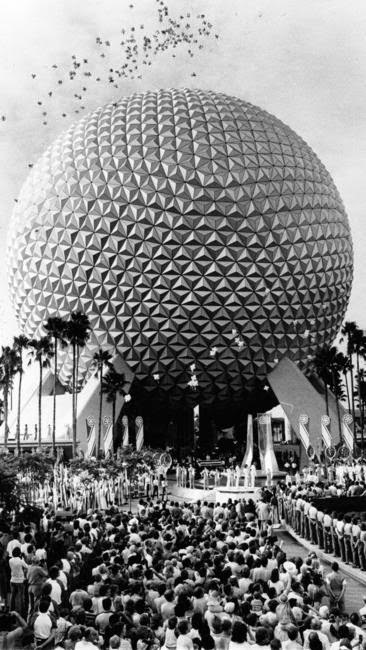 (By the way Epcot stands for Experimental Prototype Community of Tomorrow). I was lucky enough to be assigned the Epcot Center opening event for Good Morning America and on opening day all three networks ABC, NBC, and CBS came to broadcast the Grand Opening. The whole idea of Epcot Center was for give guests an opportunity to be entertained, but also to learn about our world and the many cultures of the world. Walt Disney’s wish was to showcase international environments that would give Americans the opportunity to feel like they were actually visiting countries like France, Italy, and China who might not ever have the opportunity to travel to these countries. During the week that I was there to broadcast the opening of the Epcot Center I had a dinner one night with the Disney World executives and they shared with me how the Disney World project began. Walt Disney had decided he wanted to open a second location with a lot of land on the East Coast where he would have room to continue expanding the magic. Disney sent his executives to Orlando to look at 28 thousand acres of essentially swampland. They returned to LA and expressed to disney great hesitation; the property was too far north, too chilly during parts of the year, and had none of the infrastructure needed to support this project from roads, to water systems, to airports, and it was just too far away from everything. Walt Disney said, “Thank you so much gentleman, but I think its perfect. Lets build it.” As the sstory goes, Disney then took out a cocktail napkin and sketched his vision of the the Magic Kingdom and something new, called Epcot Center with exciting foreign lands for guests to visit. In early October 1982, when I was lucky enough to cover the Grand Opening of Epcot Center at Disney World Orlando I spent one evening having dinner with Disney executives. The conversation turned to their desire to turn Disney Christmas Parades into a TV show. It’s a good thing I was at that dinner because they quickly turned to me as the perfect person to host those parades, which I did for almost 2 decades. 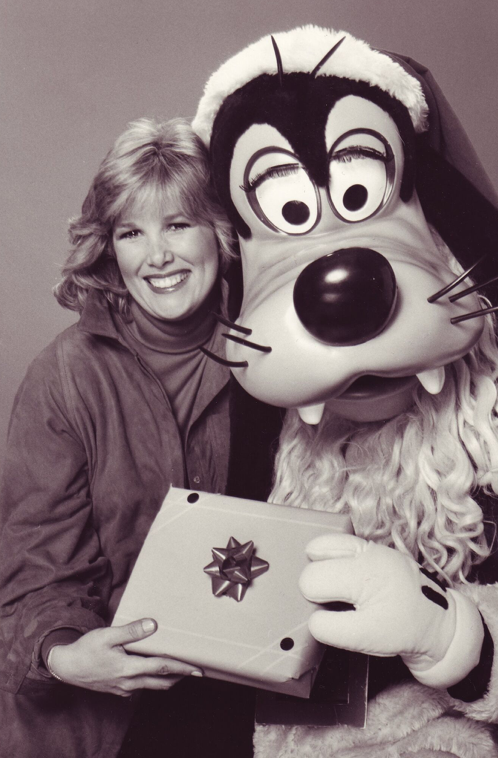 We aired the first Mickey Very Merry Christmas Parade live in 1983, it was an immediate hit! 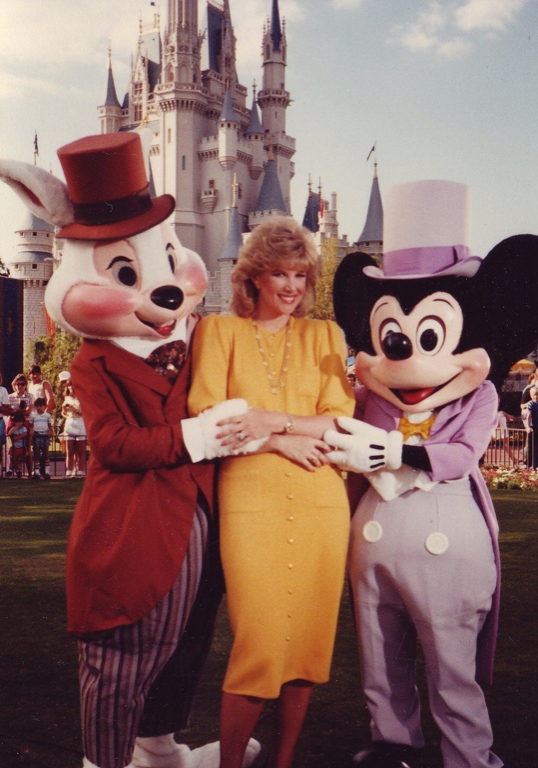 A few years later we began broadcasting Disney’s Easter Parade and I got to spend some time with Peter Rabbit and Daisy Duck. 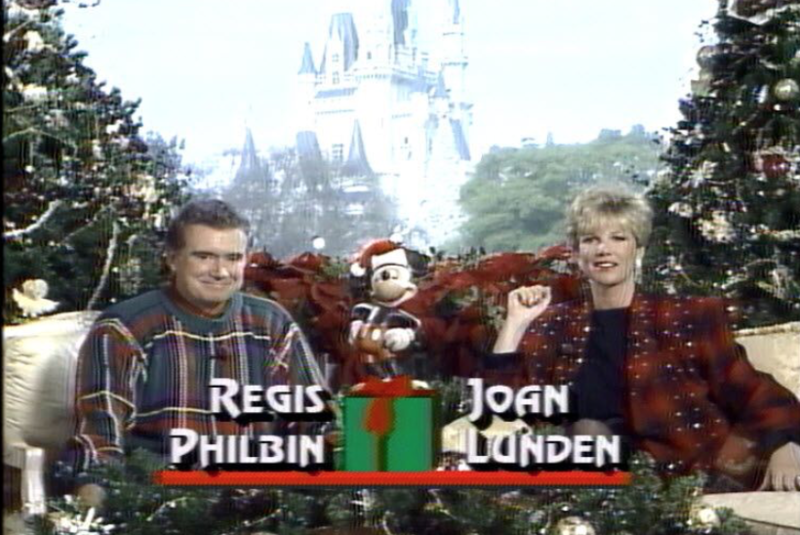 I had a number of different co hosts over the years including legendary talk show host Mike Douglas, actors from many Disney films Ben Vereen and Alan Thicke, and in later years well known talk show host Regis Philbin. 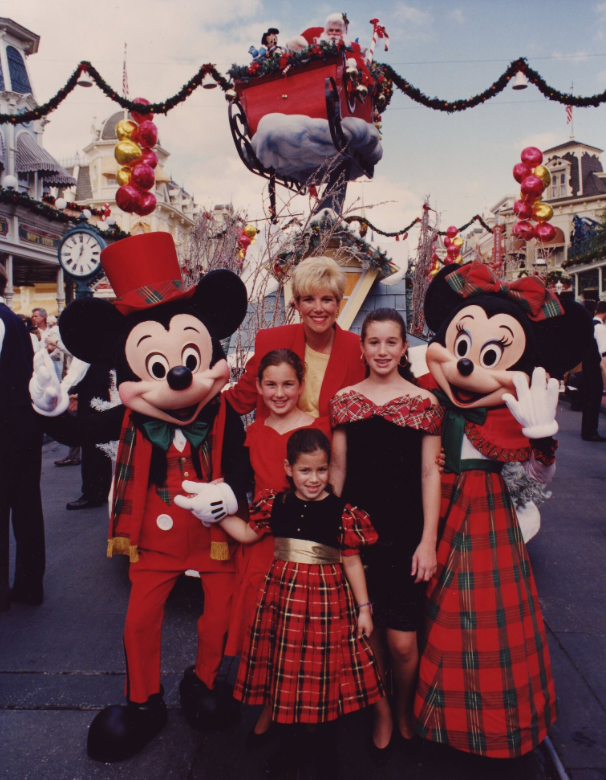 During those years of working with Disney hosting the parades I had my three older daughters and of course they would accompany me on every trip to the Magic Kingdom, isn’t that a dream come true, your mom working at Disney? For me it means so many of our family memories have Disney World in the background. A funny footnote to my daughters childhood is that the never celebrated a Christmas or Easter until their later teenage years without Disney characters. My girls literally grew up at Disney World, my Lindsay even danced in the parades I was hosting and did an interview on the making of the parades for Good Morning America. All of my many pictures at Disney World literally make up a historical retrospective of my life... through pregnancies, childhood pictures, oh yes and a lot of hair dos. One of the stories the Disney executives shared with me was that Walt Disney’s wish was that Disney World would never be complete... in that they would always be designing and building new lands to delight their guests. And in that vein Disney world did not stop at Epcot Center went on to open Disney Studios, Animal Kingdom and their latest attraction Pandora,which is based on the movie Avatar. I’m not going to lie, I’m super excited to visit that one this weekend with my second round of children, my two sets of twins. And it will only get better as time goes on as my older girls now have kids of thier own. There's nothing more magical than introducing new children to the wonderful word of Disney. 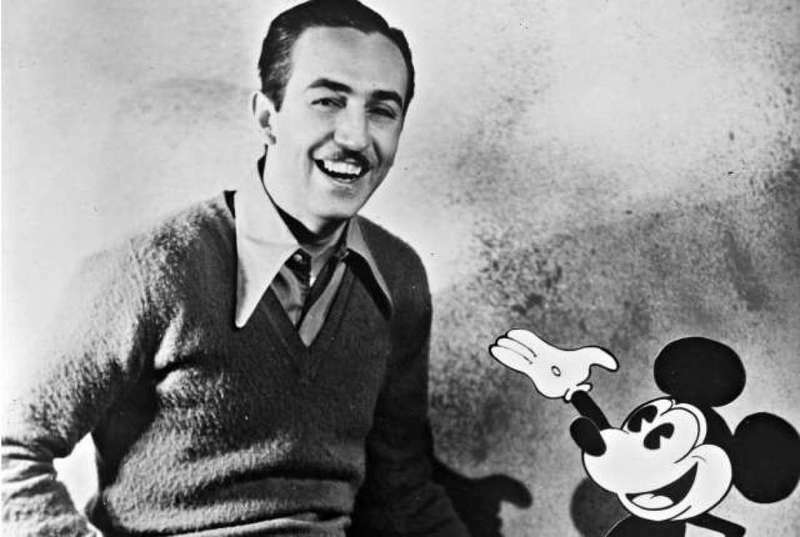 We all know that Walt Disney had an amazing mind for creting entertainment, but this was a man of incredible vision… if he built it they would come... and of course we all did. Thank you Walt Disney.